This text was originally published in the June 2014 edition of the Australian Educational Leader and has been modified to suit this post. If the web brings the opportunity to flatten our classroom walls and expand our horizons, then nothing has quite had the sledge­hammer-like effect on physical and digital barriers like Google Apps for Education. Google Apps are a suite of productivity tools designed to help students and teachers work together more efficiently and effec­tively. It is a multi-purpose platform with myriad educational and instructional benefits. At the core, Google Apps includes Gmail (webmail service), Google Drive (online documents, spreadsheets, presentations, forms, and drawings), Google Calendar (web based appoint­ments and organisation) and Google Sites (website creator); not to mention the many additional services like Hangouts, Blogger, Youtube, or Picasa which can be used with Google Apps with seamless integration. As cloud-based technologies, they are always readily available, backed up, accessible at any time and place, and available to use on any device. Unlike Google for Work, the Education suite is not only free but cost effective. 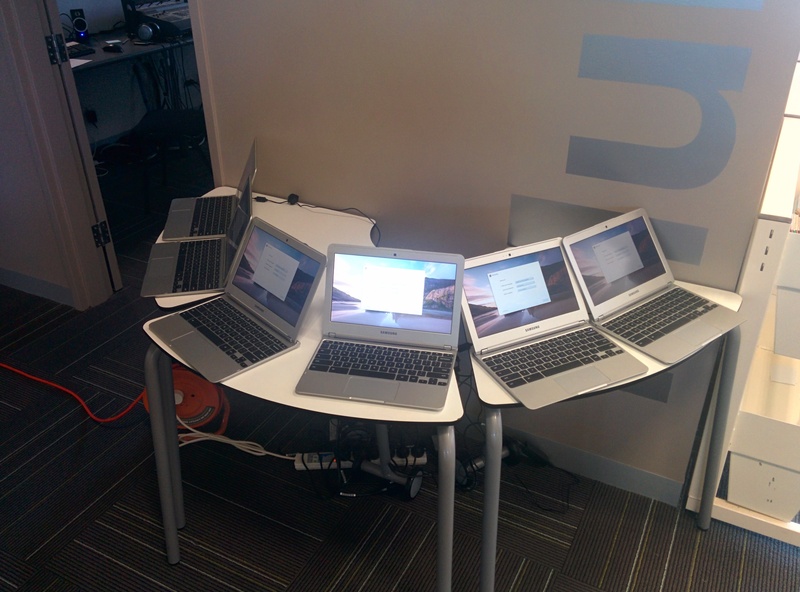 Google take on the duties of many traditional tasks which IT administrators normally carry out. It means that technical staff avoid the hassle of maintaining file servers to be online, running security updates, or managing li­censes for applications. As a result, many hardware and software maintenance costs are removed, and over the long term, this will provide schools the opportunity to save for other resources. Google’s foray into Education is enabling a total rethink in the way that teachers and students use technology for learning. 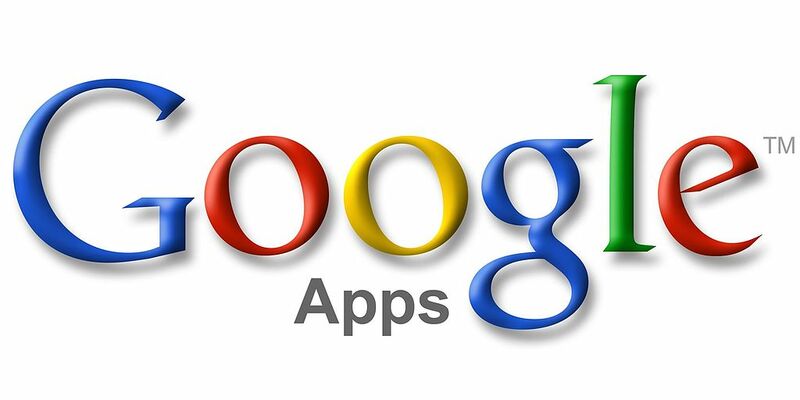 Google Apps is an online solution that bridges the divide between learning at home or at school. It offers the opportunity for collaboration to happen in real time, irrespective of physical or digital location. It makes it easy to share with fellow students, teachers, parents and the wid­er community. Teachers can apply the appropriate security and share settings for resources as they see fit, all via one account and one password. Simplicity and flexibility at its best, it is removing obstacles for students, teachers, and even technical departments. From primary to tertiary institutions, students and teachers are realising the benefits of the Google Apps for Education platform. Google Apps has been growing fast, if not virally over the last few years. There are currently over 30 million students using the service worldwide, and the number continues to grow each day. As with every business, Google has to make a profit to survive as a company. Their largest source of revenue is through adver­tising within their products (like Gmail and Youtube). Advertise­ments have always been turned off by default in Google Apps for Education. However this April, Google announced that adver­tisements will no longer be available within in Google Apps at all, nor would it scan emails for the purposes of collecting data for marketing. Once schools see through these minor considerations, they are able to harness the richness that Google Apps offer. A high quality service, at a cost-effective price, as an easy to use system, with powerful potential. With guaranteed reliability of 99.9% up­time, Google Apps is scaling at an incredible rate. Each week on Google’s Official Enterprise Blog, stories are emerging of the continued uptake of Google Apps and the way in which they are changing communication and productivity for the better once organisations have ‘Gone Google’. Locally, three of our top-tier universities (Griffith, Macquarie and Monash) joined the hundreds of tertiary institutions world­wide who have embraced Google Apps. 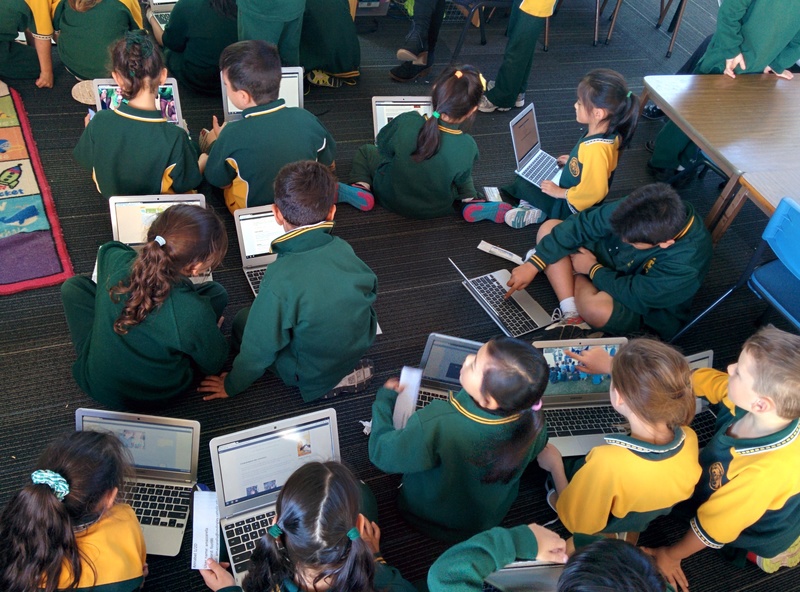 1.2 million students in New South Wales were migrated to Google Apps in 2010. In doing so, they were able to unify stu­dent email to one system and improve communication across campuses. Schools and education systems around Australia are also investigating similar paths. As technology is developing at an ever-increasing rate, it has the potential to make communication easier; and lead us to more powerful collaborative and connected experiences. Equipping this generation of learners with modern tools makes sense. This is why many schools are adopting Google Apps for Education, an extraordinary platform for the 21st Century. 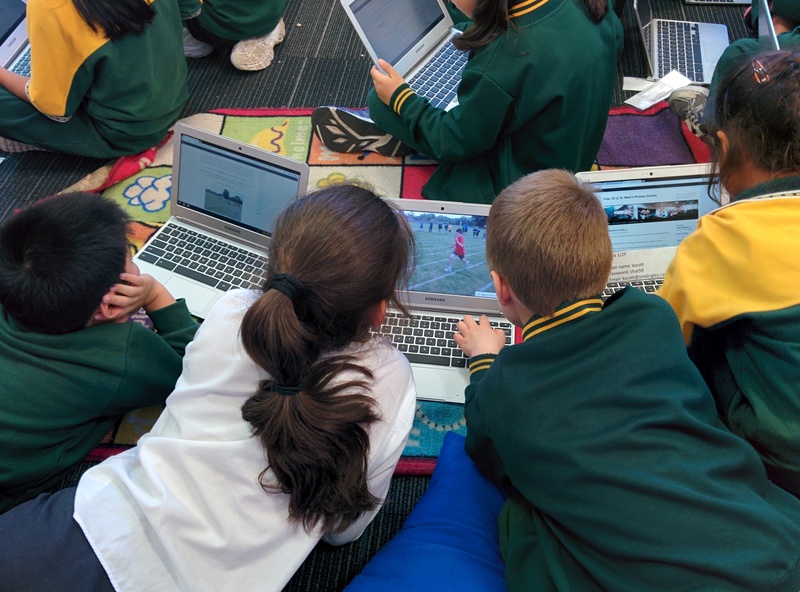 Our school has been utilising Google Apps for Education for almost two years. Whilst there have been many benefits for the school on this platform during this time, one of the key ways in which Google Apps has had an impact on student outcomes is through the use of Google Forms for formative assessments. Google Forms can be used to design surveys or web forms to easily collect, analyse and export data. 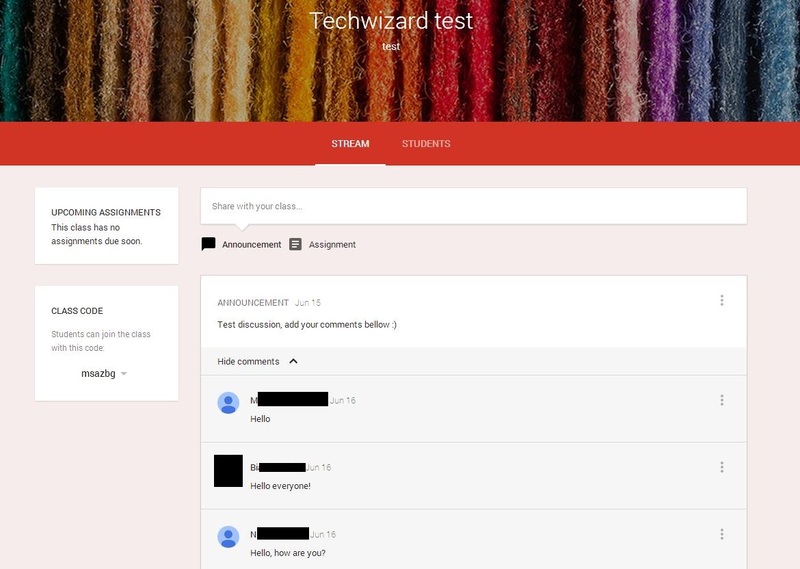 Recently, in the Year 5 and 6 levels, the teachers began to de­velop their pre- and post-assessments using Google Forms rather than issuing the assessments on paper. Using an existing scope and sequence of curriculum in child-friendly language, they de­veloped questions to map the next stages of learning for their students in a given area of maths. The Forms are completed online at a given point. Once results are collated, the responses are marked automatically and the test scores are emailed back to the students and teachers. This in­formation is then used for the students to develop an awareness of their understanding of the particular topic, and the teachers are able to formulate groups or stations in which they can pro­vide lessons, scaffolds and activities for the students to undertake learning. At the end of the topic, students take the same assessment as a post-test of their learning. Once again, the students receive their results and take delight in seeing how much they have developed during the given period of time. Using Forms as formative assessments has brought a lot of benefits for these students and teachers. • There has been a large saving of paper and printing. • Students nor teachers have to mark the assessment. • Students immediately receive an email with their results. 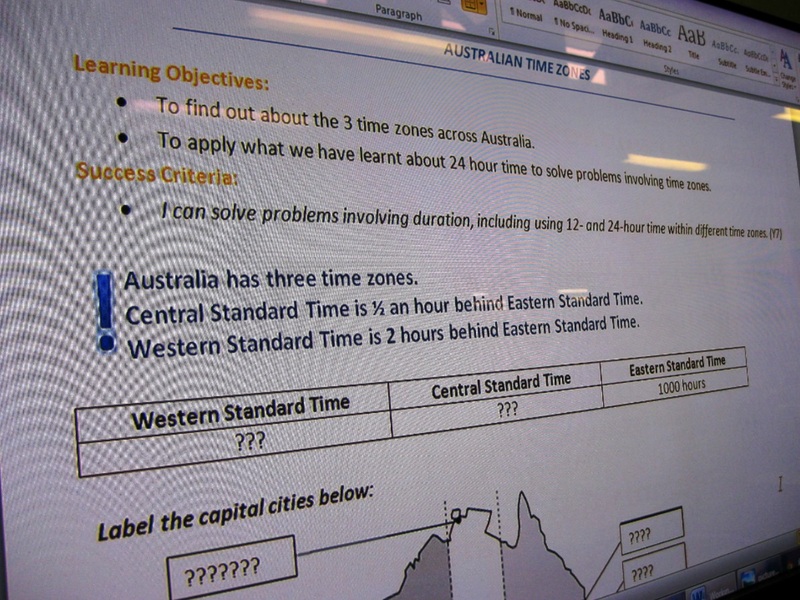 • Teachers are able to track student responses in the assessment, eliminating manual data entry. • It has assisted in making the process of learning visible to students. 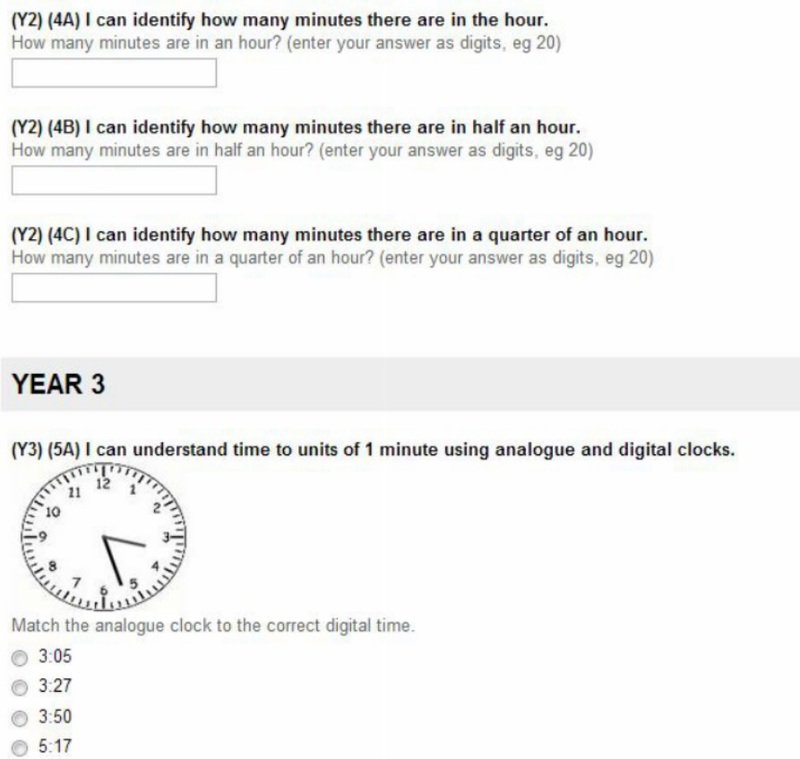 • Time is saved in processing assessments, so that more time can be used for learning. • Pre and post data is automatically collected and available for determining the effectiveness of the teaching strategies using effect sizes as a measure. Hattie, J (2009). Visible learning. London: Routledge. Hattie, J (2010). Visible learning for teachers: maximising impact on learning. Routledge. 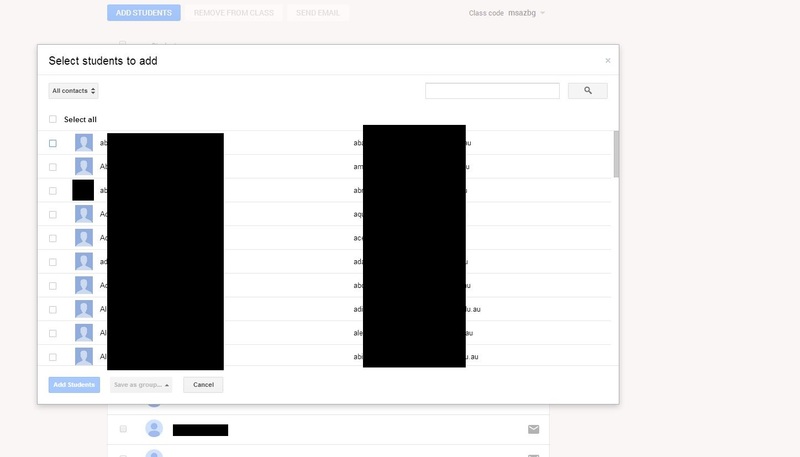 Last week I received an “early preview” of Google’s latest offering on the GAFE platform, Classroom. According to Google, it promises to save time, improve organisation, and enhance communication between teachers and students. Announced earlier in the year, a lot of educators are keen to to see how this new product will play out in schools. Classroom will be officially released later in the year. In the past week I have been playing around with a test class with a few students at my school. I thought it might be useful for others to see and hear about a relatively unknown product at the moment. *Disclaimer- keeping in mind that this is an “early preview” of classroom, and that I wouldn’t be surprised if further changes were made in the months to come. 1) Setting up the classroom was as easy as going to classroom.google.com. As the invite was sent to my school GAFE account, it automatically logged me in (as can be seen in the top right corner). At the moment only my account can create classes but it will be interesting to see how soon teachers on our domain will also be given access. On the left of the screen there is a home button and a “hamburger” menu. 2) Inside is a settings button which takes you to your Google profile (which appears to have an integral role for students and teachers within classroom). There is also an option to toggle notifications. 3) From the home screen, clicking the + button will allow you to create a class with a title and description. A “class code” is automatically generated for the class. Users in my domain could go to classroom.google.com and use the code to sign up to the class automatically without being invited. There is a reset function to the code, I suppose in the case that unwanted users who know the code start signing up to the class. 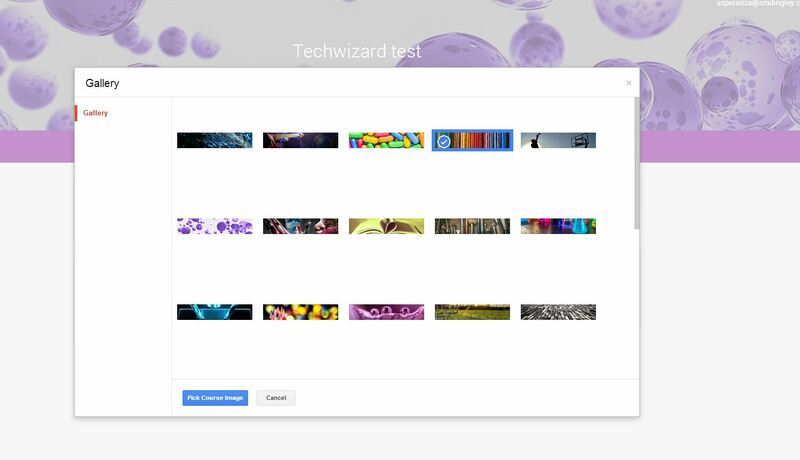 4) The class header image can be changed, and there is a wide variety of various images to use. However, it appears that you cannot upload a custom image. 5) Within Classroom there are 2 main views. 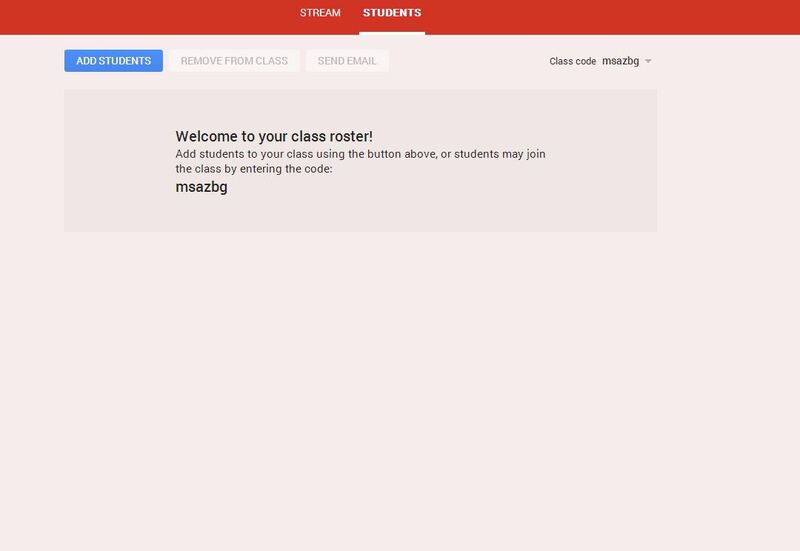 A “stream” which shows the activity in the class, and “students”, which allows you to register and notify students. 6) By clicking the “add students” button, a pop-up window brings up your contacts linked to your account. Whilst all users in my domain were searchable, I did have to go digging around for them. The most available accounts for me to select were people that I frequently converse with via email. As contacts were selected, there was an option to add them to a group. Google Groups which were previously setup were also searchable and could be selected. For teachers, it is going to be important to have Groups set up in advance so time is not wasted searching for students! 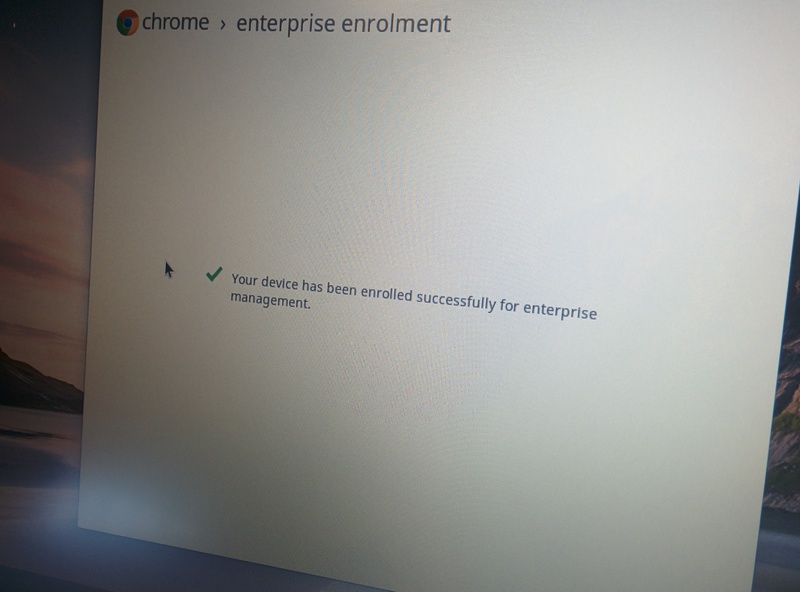 7) A confirmation appears for the users that enrolled into the class. The email function was also tested. When the icon is clicked, a pop-up window appears. 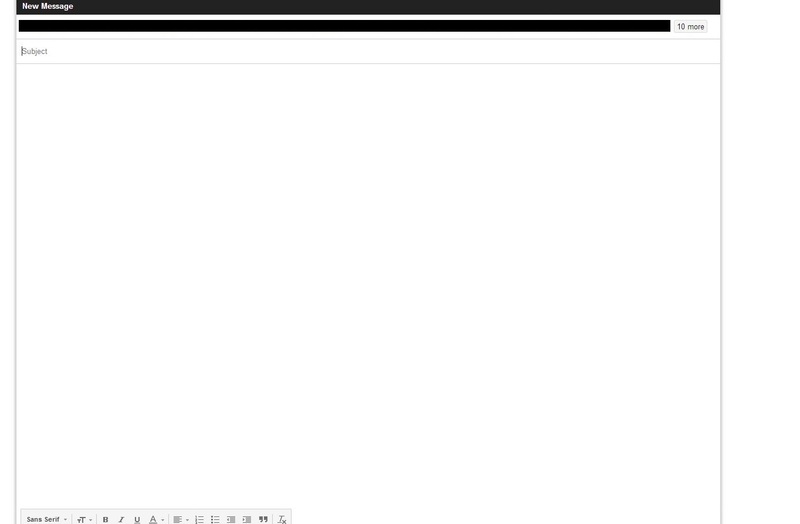 8) The pop-up is a compose message window within Gmail with the users’ addresses already in the “To:” field. 10) As well as posting announcements, assignments could also be posted to the class. Along with the title and description, a due date and time can be set. Again, attachments can be made via upload, existing files within Drive, or external web URL’s. I elected to prepare a template in Drive with instructions for completing the assignments. When attaching a Google Doc you are given the options of allowing the students to view the file, edit the file, or making a copy for each student (which was my intention). 11) Once the assignment was set it appeared in the stream with the number of students who have “turned the assignment in” and those who have not. 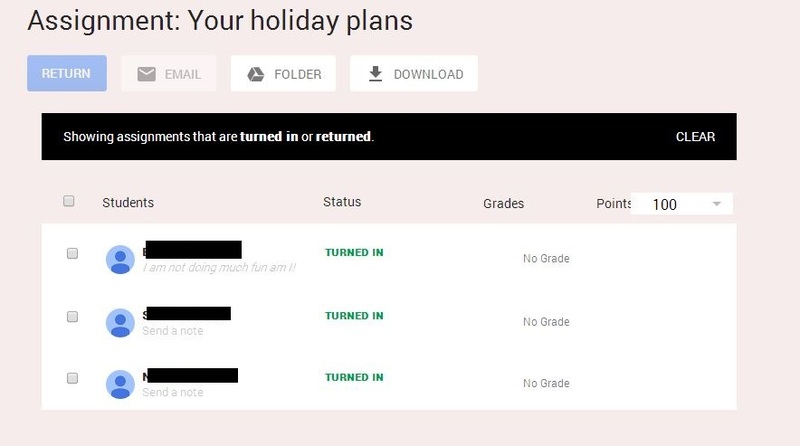 Students reported that they received the documents and had access to a “Turn in” button next to the blue share button in Docs, and used this to submit the task. 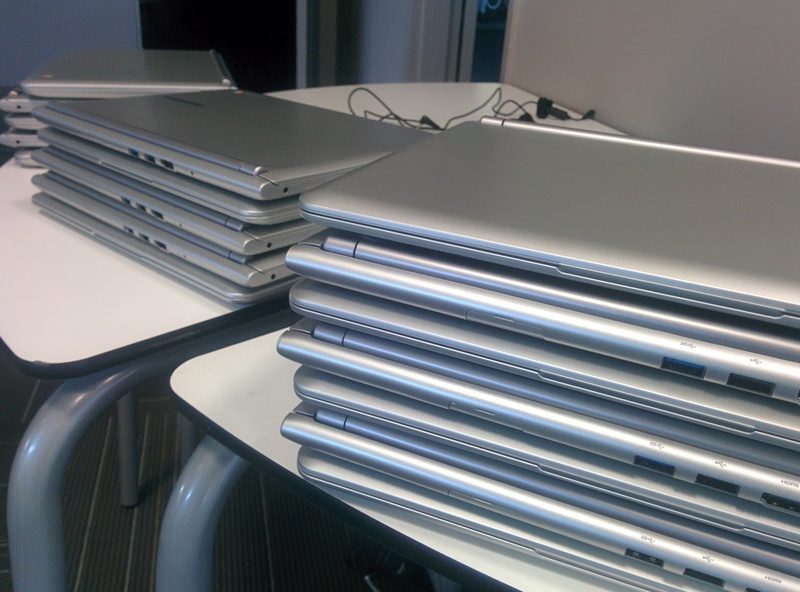 12) As students submitted the task, the number of “turn ins” escalated. 13) By clicking on the number of “turn ins”, the submitted files were available for viewing. They could be opened and fully edited as needed. An assessment score could be given to students but only as a number to 100. Students could also send a note along with their submitted task. Reminders could be sent to students who had not yet submitted the task. 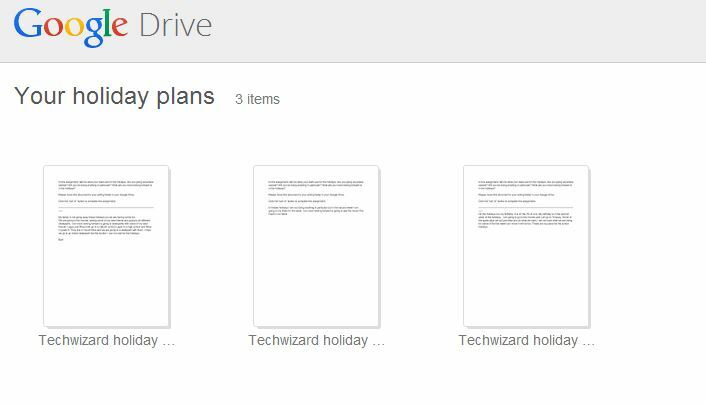 14) At this point I noticed that a “Classroom” folder had been set up in my Drive, inside another folder with the name of the class. Of the students who had turned assignments in, their files were appearing in this folder. The folder also contained uploads from the announcements that had been made in the class. Overall I found Classroom easy to use, and I imagine that most teachers would find the same. At the basics, for being able to share assignments and communicate with students it does its job reasonably well, and so would be a benefit for teachers. Google has very cleverly used API’s and integrated Classroom with Drive and Gmail to make everything flow nicely. I particularly like the ability to share the class via a code to avoid the hassle of signing up individual users. Students were also able to move their documents into their own folders within drive without mucking anything up from the Classroom end. On the other hand I found a few limitations (or perhaps areas for improvement). As it is fairly basic, there is not much else one can do besides post announcements and assignments. There doesn’t appear to be any way to view student’s progress or give feedback during the task. The only time the document was viewable was when it was handed in. This could be mitigated by asking students to share the file with you once they receive it. The feedback score of 100 can’t be edited. It would be nice to have some language descriptors instead, or the ability to assess against a criteria or a rubric (although these could be also embedded into the assignment against a score). Can more than one teacher post announcements and assignments? No, at least not at this stage. For me working with teachers as collegiates, this poses a problem. Will it replace HAPARA? Absolutely not. As an experienced user (and I guess biased user) of Hapara, it offers a plethora of additional functionality when using GAFE with teachers and students that is (currently) not possible with Classroom. Read Hapara’s official line here. Thinking about the way that our school currently communicates and sets assignments for students, which is at the core of Classroom, I would probably stick with the processes we have in place with Hapara than use Classroom. Having said that, if schools could not afford Hapara then Classroom would certainly be of benefit for teachers.